Not too terribly long ago, I bought some manganese-tinted kaolin. I'd never worked with tinted clay before and to be honest, I fell for the color and thought it would be fun to fool around with it in masks and a few products. My first use of it was a lavender detox mask (that worked beautifully). 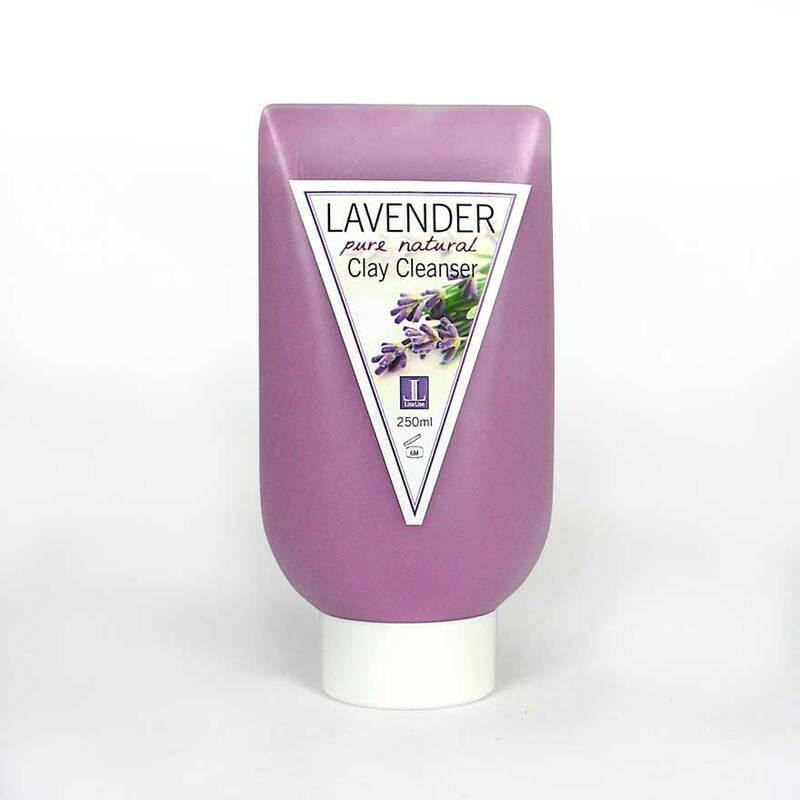 Then the clay just sat on the shelf for a while – until the other day where it was incorporated into a lavender cleanser. The resulting product had a gorgeous color with a postively delicious texture – quite similar to a dessert yoghurt. After 'tube-ing' the cleanser, it was immediately obvious that a new label design was called for. Pictured – the result. All just for fun and in celebration of Spring. Mums, den ser lækker ud, dygtige Lise.